From disparate and siloed CRM and ERP data, to desk drawers full of handwritten notes, to a retiring workforce that is taking their extensive expertise with them, service organizations have a serious data problem. Valuable business and customer data, considered too challenging to integrate and mine, is going unused. But when accessed and analyzed, this forgotten data holds the key to solving some of your most critical business challenges. Big Data’s promise to transform businesses by interpreting hidden information, uncovering patterns, and ultimately using that information to drive highly relevant suggestions and predictions is a promise that is coming to fruition much slower than expected. While Amazon and Netflix have figured out how to interpret relatively small, personal data sets to make consumer suggestions, the enterprise has lagged. The results are staggering. IBM estimates that bad data costs the US $3.1 trillion a year. Part of the problem is the vast amount of information being generated every day. The global datasphere will grow from 33 zettabytes in 2018 to 175 by 2025 according to a 2018 study by IDC. The search for the needle in the haystack of useful data becomes even more challenging. 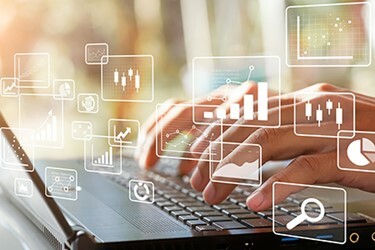 While most enterprises have a data strategy in place, the industry has not scaled operations or technology to keep up with the sheer amount of information. In addition to losing money, lack of data-driven insight is hampering productivity, operational efficiency, and customer experiences.